Kathleen had a very specific design in mind, and her first question to us was “Can you make it look just like this?”. Of course we could! Her next concern was that she be able to change any content, or even colors and fonts, on her own. You bet! Notice the sample video in the sidebar – another “must have”. 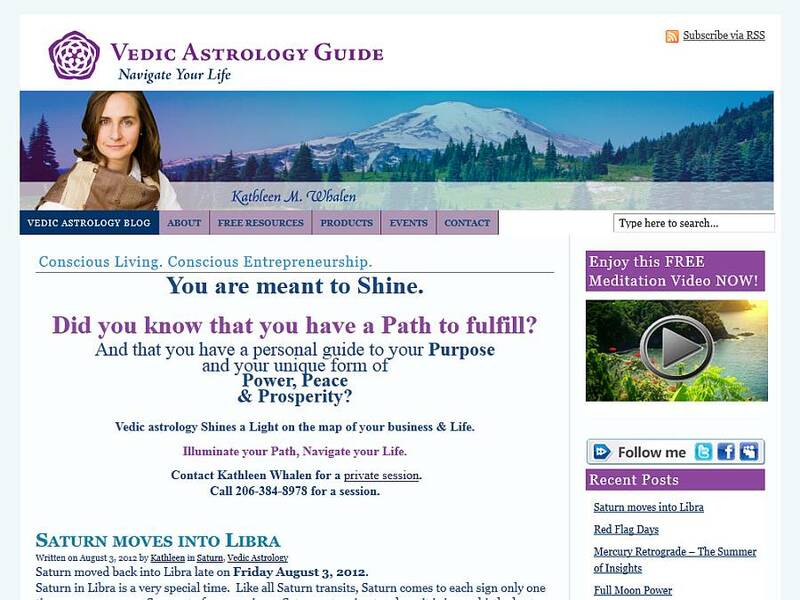 Kathleen has continued to update and maintain her own site, providing consistently up-to-date information on Vedic Astrology – with no need to pay an outside webmaster. This website uses the premium WordPress Theme Headway.